I’m hoping my kid grows up to appreciate beautiful handmade things instead of noisy plastic things (says the woman who thanks heaven every day for this music-making contraption). 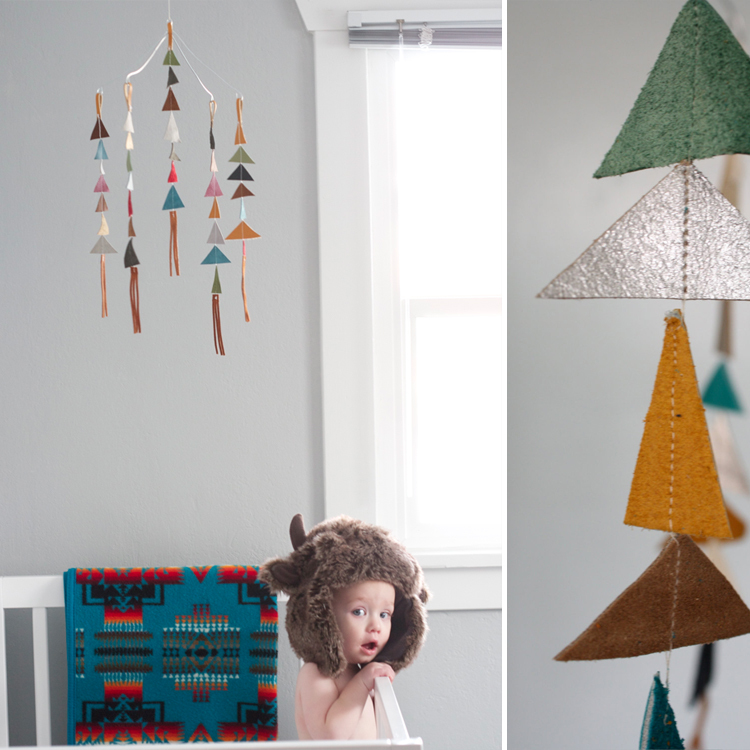 So as long as I have a say in things I’m outfitting the nursery in beauties like this leather mobile by The Alison Show (thank you, Amanda!). It’s cool, it’s colourful and, unlike a newborn baby, it’s quiet.